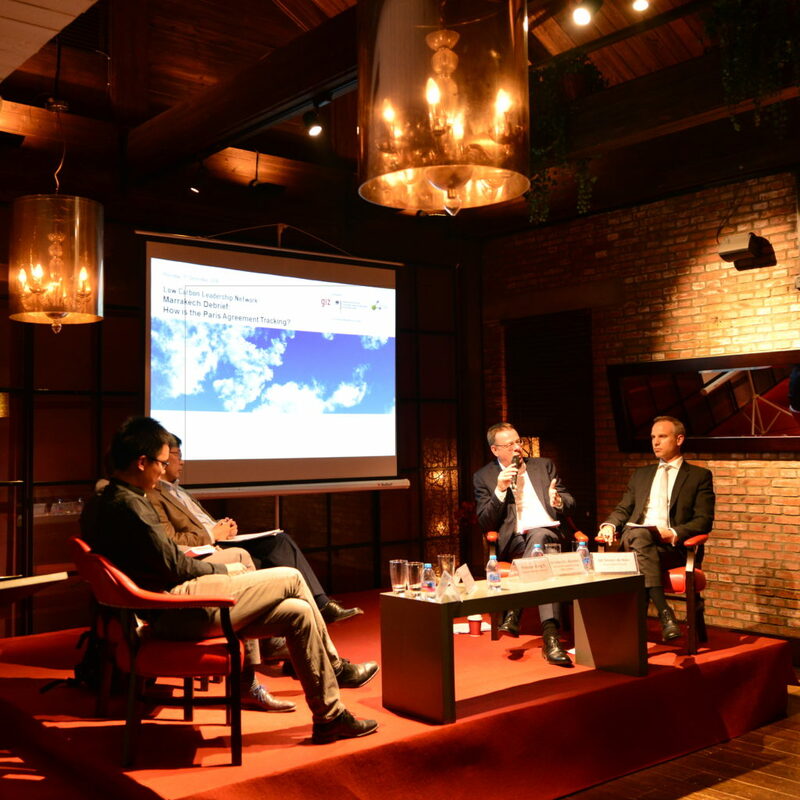 On 3rd November 2016, China Carbon Forum together with Deutsche Gesellschaft für Internationale Zusammenarbeit GmbH (GIZ), held an event on “Emerging Trends in Green Finance in China”. This invitation-only event continues the Low Carbon Leadership Network event series, jointly organised by Deutsche Gesellschaft für Internationale Zusammenarbeit (GIZ) GmbH and China Carbon Forum (CCF), and is supported by the Global Partners for Germany / Alumniportal Deutschland program as well as the Emerging Markets Sustainability Dialogues. The event featured a welcome by Mr Ralf Becker, First Secretary at the Embassy of Germany in China, and an introduction of GIZ’s work on green finance in China by Ms Nina Roth, Senior Advisor Sustainable Finance, GIZ. This was followed by an expert panel discussion, including Mr. Liu Jialong, Research Fellow, Green Finance Committee; Dr. Joachim von Amsberg, Vice President – Policy and Strategy, Asian Infrastructure Investment Bank; Dr. Guo Peiyuan, Director & Co-Founder, Syntao; and, Mr. Calvin Quek, Head of Sustainable Finance Program, Greenpeace (Moderator). For record of discussion and Executive Summary, download the PDF: Emerging Trends in Green Finance in China. 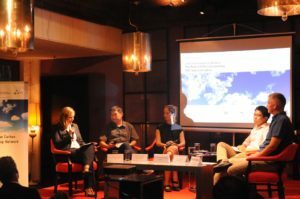 On July 26th, 2016, China Carbon Forum held an event on “The Role of ETS in Supporting NDC Implementation”, as part of the China Low Carbon Leadership Network (LCLN), an event series jointly organised by Deutsche Gesellschaft für Internationale Zusammenarbeit GmbH (GIZ) and China Carbon Forum. 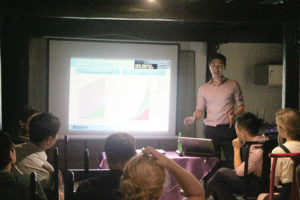 This event was also held in cooperation with the International Carbon Action Partnership (ICAP). The event featured a keynote speech by Mr Marc Allessie, Co-Chair of ICAP, and Director of the Dutch Emissions Authority (NEa), followed by an expert panel discussion analysing the role of China’s national ETS in supporting the emissions goals set out in China’s National Determined Contribution to the Paris Agreement. 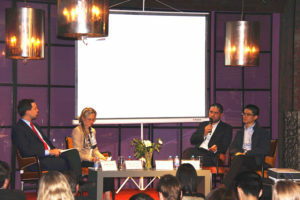 The panel included distinguished experts from academia, media, an NGO, as well as ICAP. For record of discussion and Executive Summary, download the PDF: The Role of ETS in Supporting NDC Implementation. 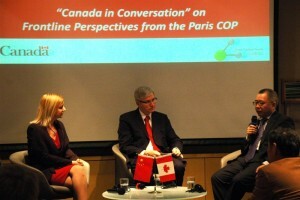 On the evening of Tuesday, 1st March, in partnership with the Embassy of Canada in China, China Carbon Forum held an exclusive high-level event: Frontline Perspectives from the Paris COP. and Ms. Louise Métivier, Canada’s Chief Negotiator for Climate Change and Assistant Deputy Minister, International Affairs Branch, Environment and Climate Change Canada. 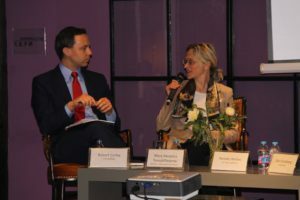 Both speakers shared their insights on the Paris COP and the implications of the Paris Agreement, after which they answered questions from the invited guests. 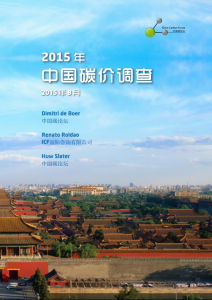 On November 26th, China Carbon Forum launched the 2015 edition of “Mapping China’s Climate Policy Formation Process,” which was authored by Professor Craig Hart and graduate researchers Zhu Jiayan and Ying Jiahui of Renmin University of China’s School of Environment & Natural Resources. The Embassy of the Federal Republic of Germany in Beijing and The Royal Norwegian Embassy, Beijing, provided financial support for this project. 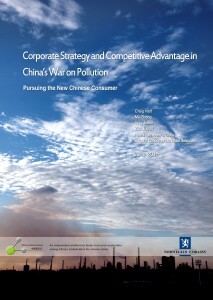 Please click here to access the report download link from the China Carbon Forum website. In preparation for the UNFCCC COP 21 negotiations in Paris, Mapping China’s Climate Policy Formation Process provides an analysis of how China forms climate change policy, the key stakeholders who participate in the process, and the future direction of China’s climate change efforts. 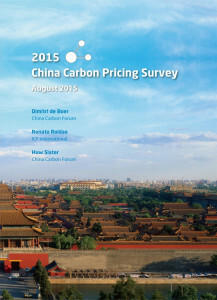 CCF has launched its latest research report, the 2015 China Carbon Pricing Survey. 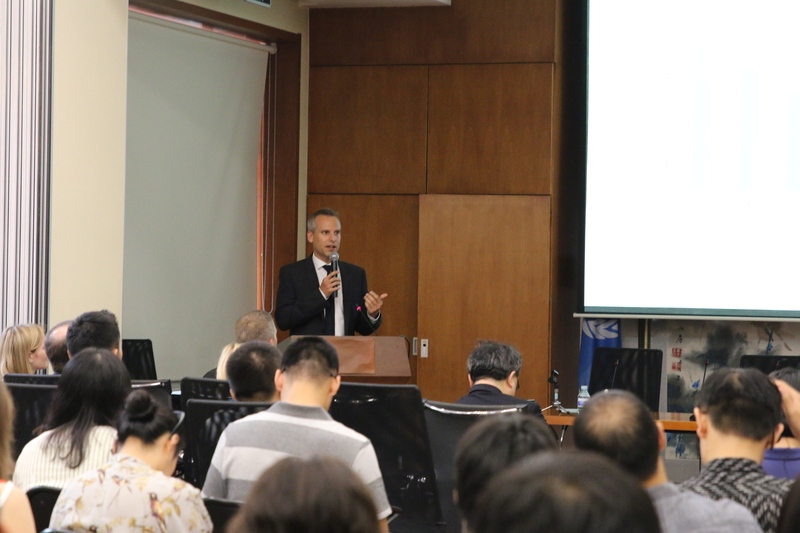 The report was conducted jointly by China Carbon Forum and ICF International, and was launched both in Beijing (September 8th) and in Oslo (September 11th). The report is available below in English and Chinese. The report was authored by Mr. Dimitri de Boer (CCF), Mr. Renato Roldao (ICF), and Mr. Huw Slater (CCF). Financial support for this project was provided by The British Embassy, Beijing, The Royal Norwegian Embassy, Beijing and Energy Foundation China. Building on the first such survey in 2013, the 2015 survey elicited expectations about the future of China’s carbon pricing from over 300 stakeholders in carbon markets in China. The results of the survey give strong confidence that carbon price levels in China will rise over time, and that carbon pricing will increasingly affect investment decisions. 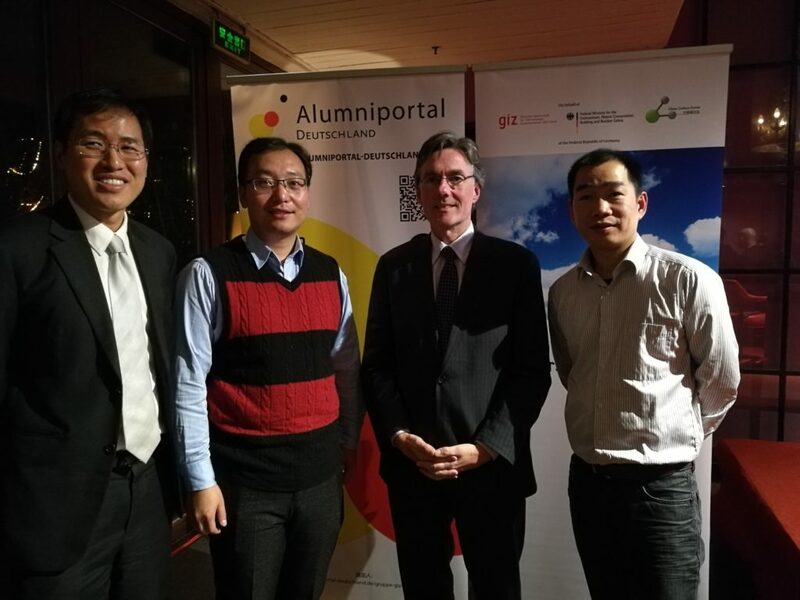 The event on “Municipal energy policies and concepts: German and Chinese Experiences” was part of the China Low Carbon Leadership Network (LCLN), an event series jointly organized by Deutsche Gesellschaft für Internationale Zusammenarbeit GmbH (GIZ) and China Carbon Forum (CCF). The panel included distinguished experts from the fields of energy and eco-city planning, as well as those working on EU-China projects and Sino-German projects focusing on energy concepts. 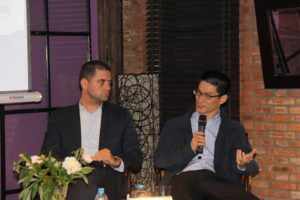 As the speakers came from both Chinese and international backgrounds, the audience were enabled to gain an insight into a mix perspectives, especially during Q&A sessions. 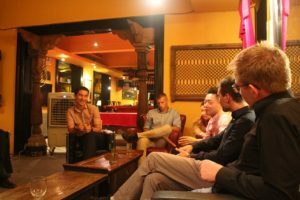 After the discussion, the guests enjoyed the follow-up networking event.